ARK Hills Winter is winter illumination at ARK Hills. During the Christmas, Karajan field has great Christmas decoration. 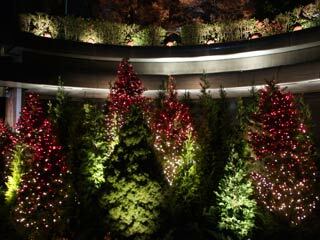 The artificial waterfalls at the park and the light-up illumination are perfect collaboration. Period: From the beginning of December to the middle of January. 1. use Ginza Line to Tameike-Sano.